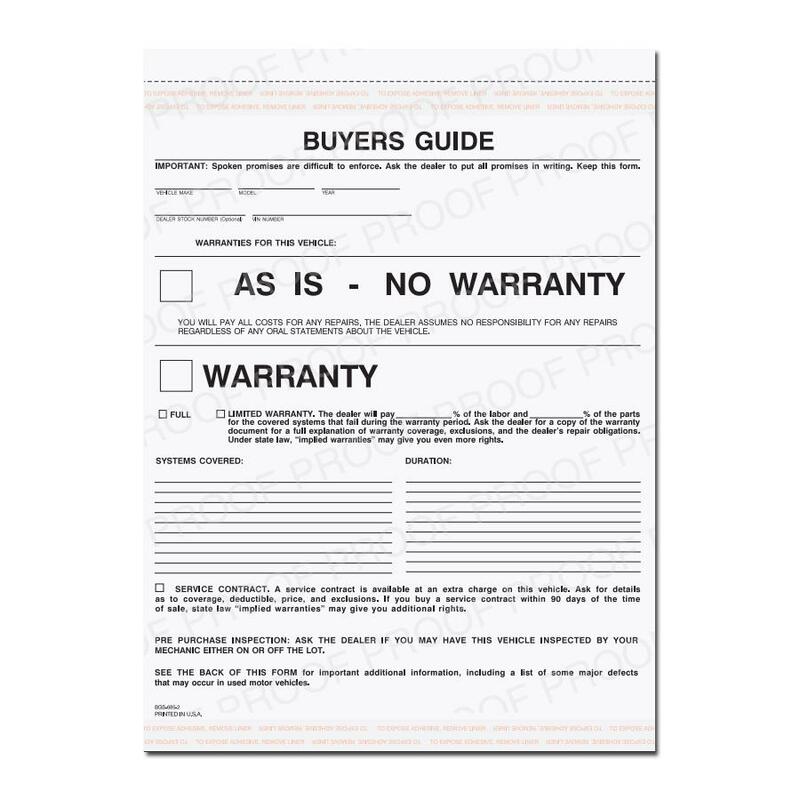 2 and 3-Part Buyer's Guide Warranty, Carbonless, 8 1/2" x 11"
Version: "As Is - No Warranty"
Make legal compliance easier! 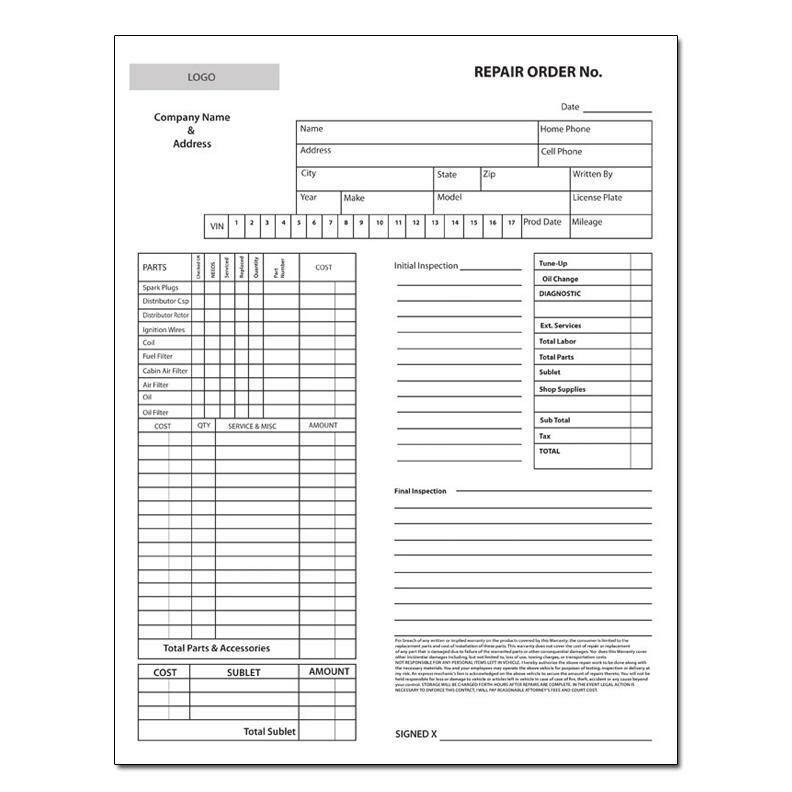 Simply note any defects on the checklist printed on the back of the statements, peel off the pressure-sensitive tape and apply to the inside of the vehicle's window. 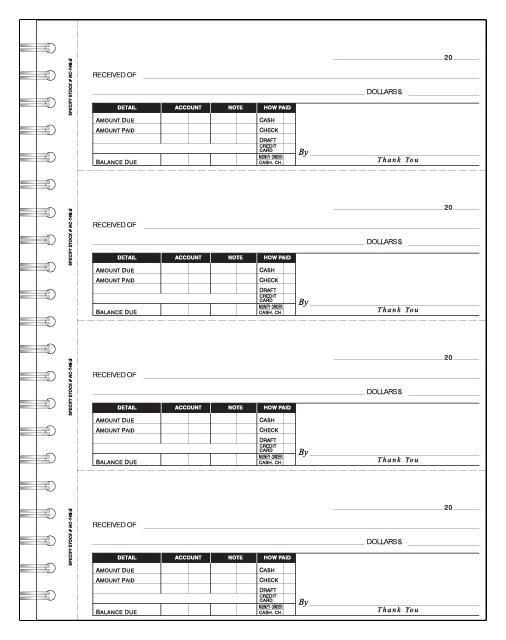 When your prospect is ready to make a purchase, have them sign the form to complete the sale. 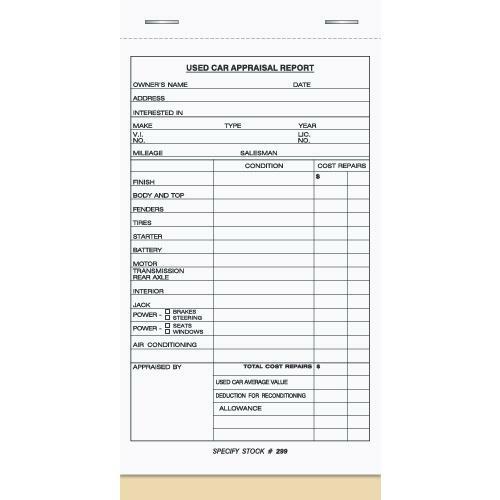 We make compliance hassle-free for you.